Hirapur in Dhanbad is going to be the venue of the Press Club,according to Chief Minister Raghubar Das. The move was greeted by journalists of Dhanbad today. The Press Club is planned to be located near Abhay Sundri Girls School.Das has already approved the proposal and 60 decimal land was made available free of cost by Dhanbad Deputy Commissioner toward this end. This move of the Jharkhand CM was in response to a plea made in this regard by MLA,Jharia,Sanjiv Singh. 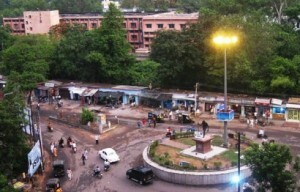 In the past,the CM had inaugurated construction of Press Club in Ranchi where the builder is working day and night to implement the project near Karamtoli chowk.